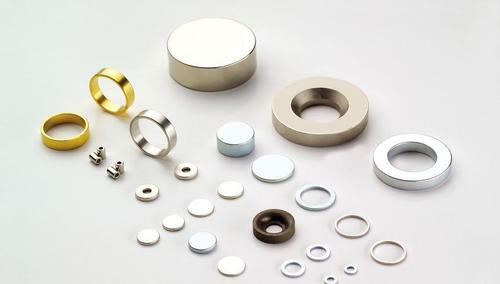 Neodymium magnet is one type of rare earth magnets which can be seen in many daily goods including headset, voice coil motor, guitars, speakers, Halbach array, cordless tools and even hybrid vehicles. Fishing is so popular. There are special fishing TV stations introducing different fishing contest, fishing tips and fishing tackle. I am sure it’s one of the best-loved hobbies all over the world. Have you ever heard magnetic pull bait plate? It’s a fishing tool to adsorb fishhook for easy bait. Permanent magnets are widely used in aquarium cleaner because you don’t have to empty the tank or touch water any more. This also applies to narrow shape vast or glass door/window. As all guns have something in common – metal, permanent magnets are ideal for building the gun mount. Use cheap big block ceramic magnets to build a gun mount, instead of small super-strong neodymium magnets or you can find free neodymium magnet in an abandoned computer hard drive. Small beer bottle caps are everywhere when you have fun with friends? Easy in assembly, magnetic bottle opener, can hold dozens of or even hundreds of caps a time. When summer comes, how to keep annoying mosquito or bug out is a big problem for many families, especially for those family that has baby. The magnetic mesh hands-free screen door curtains are the perfect solution to this problem; they are environmental protection without the use of pesticides and allow fresh air in. If you have many small things taking up room in your cabinets and drawers, and don’t have extra space to hold more things, let’s use magnetic jar. If you are a neat freaks and want everything in order, you’ll love this modern magnetic clothes hangers. These hook-free hangers make it easier to organize your closet.